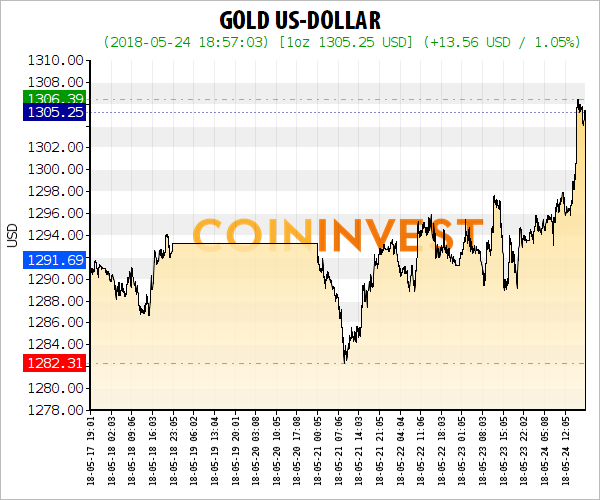 As the name of this article suggests, the live gold price is an instrument destined to everyone that wants to be updated in relation to the gold price. It is a gold chart containing accessible data for anyone thanks to a small thing called the Internet. The live gold price is fast loading, available in the most important currencies which can be set by the person interested in the present price for this precious metal. 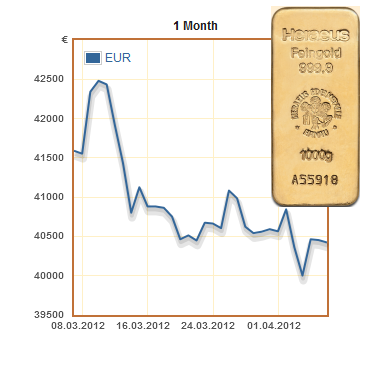 However, the currency in which the gold price is updated for every time of day is in general the US dollar. The gold price expresses how many dollars you need to buy one unit of gold, which can be measured in grams, troy ounces or kilograms. Gold can be regarded as an international currency, having the important characteristic that its intrinsic value is not affected by economic disasters, by political decisions which affect an economy, and by the devaluation of other currencies or inflation. On the contrary, the live gold price will be on an increasing path when one of the situations aforementioned takes place. That happens because everyone turns to precious metals and gold in particular in order to store a part of their assets and to create diversity in their portfolios. The live gold chart, otherwise called intra-day spot price because it is only focused on showing the evolution of gold for just one day, it does not stretch on a longer period of time, being a tool designed for the present day. It becomes more important when we think about the fact that the gold price, like the price of any commodity, is established twice daily. We have a live gold price when the over-the-counter gold-trading markets open and another when the closing time arrives. It has the code XAU which is as important for some traders as it is their name, especially for those making money from speculating on the gold market. Another situation presented with the help of the live gold price is how the major currencies are evolving in the present because gold can be considered to be constant in this equation and the currencies are the variables explained by the present evolution of gold. Like any other commodity, the live gold price is influences by the supply and demand for that moment of a particular day. For example if political crisis outbursts in some part of the world and the central bank of that country decides to buy a considerable amount of this precious metal, immediately the live gold price will increase because the demand is greater than the supply. If the economies are performing well, as it was before 2007, people will not be so interested to invest in gold, they will have their attention centered on other financial instruments, so the live gold price will decrease. Before 2007, central banks were major sellers of gold, and when there is a major transaction of selling gold, the gold price will inevitably decrease. Therefore, the live gold price is influenced by major traders and investors and here we can also include the manufactures from different industries like the jewelry one, the dentistry, and the technological industry.